Here’s the view from the Unity-Reception on November 29th. 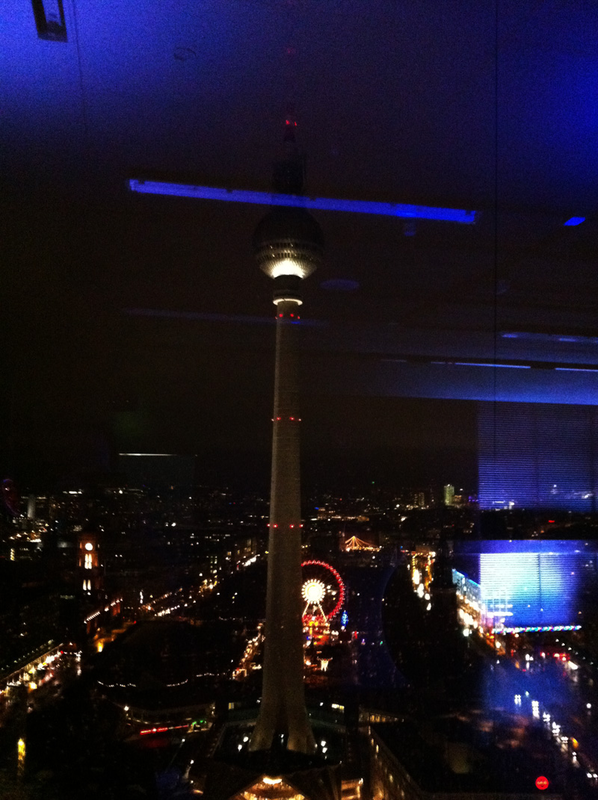 It’s the second-highest place in Berlin, and it was breath-taking. Too bad these over-reflected pictures don’t do it justice. A video was recorded of it too. Going to post it later, once I find it.